This shot was taken on 10th and Broadway in Down Town Oakland. 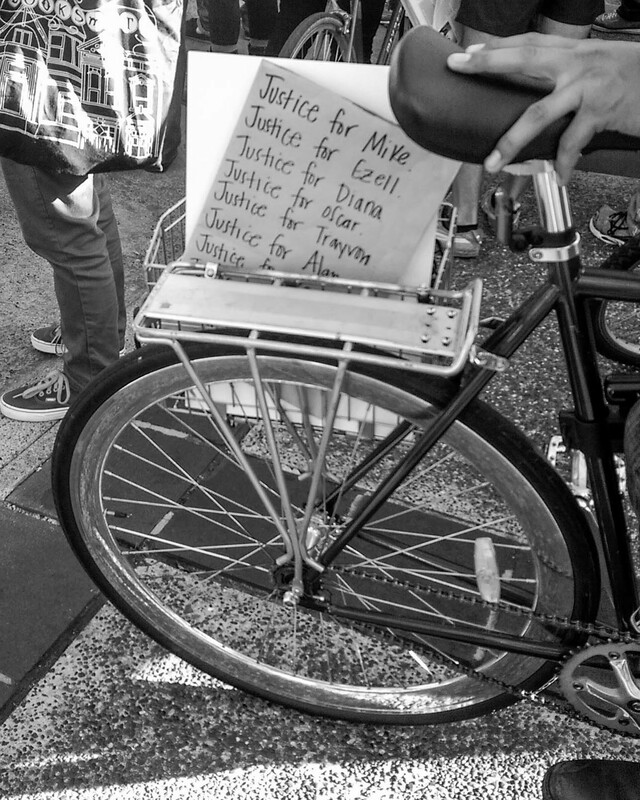 It was taken on the first day that protests concerning the Ferguson case sprouted in Oakland. Weeks before the grand jury decision the crowd was there to express concerns about the proceedings. In this series I am seeking to document democratic practice. Although you could not come to this notion by simply considering the media’s characterization of these protests, it could be said that hand-making a protest sign is as American as apple pie.